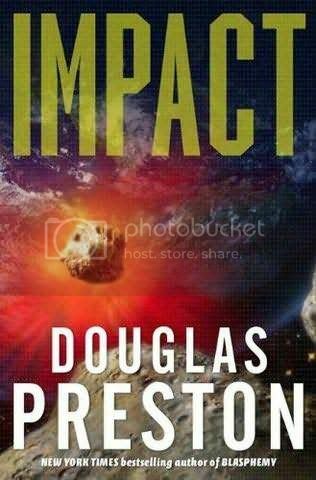 Le nouveau roman de Douglas Preston (en solo) sera publié en 2010 aux USA. Il s'agira de la suite des aventures en solo de Wyman Ford, après Credo (Blasphemy), ce dernier ayant fait sa première apparition dans T-Rex (Tyrannosaur Canyon). When Wyman Ford is called in to investigate the mysterious exit hole of a meteorite that amazingly passed straight through the earth, what he finds defies all that we know about our universe. There is an ancient structure buried deep in Voltaire Crater on Deimos, one of Mars' moons. Sticking up from the structure is the unmistakable outline of a gun. It was built to monitor the solar system and destroy any intelligent life powerful enough to challenge it - but built by whom? A quick calculation of the orbit of Mars indicates that Deimos Crater will once again point at the earth in sixty hours. The final shot - the one that will destroy the earth - will come then. The end-game is at hand. Wyman Ford and a team of scientists must figure out how to destroy the alien doomsday weapon in the next sixty hours. Their only tools are what is already in orbit around Mars - the Orbiter, the Mars lander on the surface, and several smaller satellites orbiting the Red Planet. None of them carry anything remotely resembling a weapon. Sixty hours and counting. En 2011 aux éditions de l'Archipel ? On le saura bientôt.